There is nothing quite like the feeling of falling in love, and creating the perfect proposal is the best way to express the love that you and your partner share. 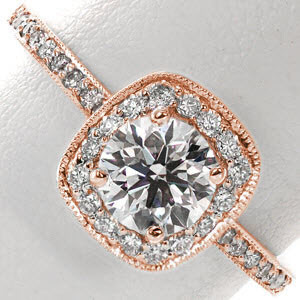 To find the best custom rose gold engagement rings in Denver, Knox Jewelers has an outstanding selection for you to choose from. Once you have found the ring that fits the style and personality of your one true love, then it is time to find the perfect place to ask for your beloved’s hand in marriage. 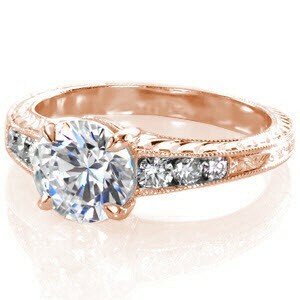 The Mile High City is amazing all on its own, so it’s easy to find a place within the urban setting for a proposal. Right in the place where Denver was founded, Larimer Square is a wealth of history, beauty, and vibrant city life. The sky sparkles with the strings of lights scattered above you. There is so much to see and do as you walk throughout this magnificent historic district. For a decadent meal in a lovely restaurant, take your sweetheart to the Bistro Vendome. The romantic French restaurant has just the ambiance and fine dining you need to create an atmosphere fit for a proposal. 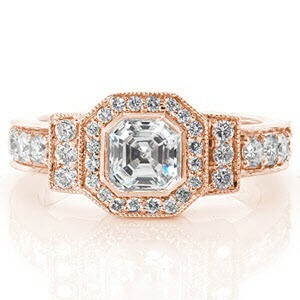 You can present your unique Knox Jewelers rose gold engagement ring to your beloved within the charming restaurant or beneath the lights and stars in the evening. It will be a beautiful moment that the two of you will cherish forever. The peace and serenity of nature create an amazing environment for a proposal location. If you and your love enjoy spending time in the great outdoors then Denver is the perfect city for you. Take your beloved for a stroll through a small slice of nature without venturing far from civilization. With 330 acres of space, Denver’s City Park has something for everyone. Enjoy a long walk through the museums, gardens, and grass. Explore the two beautiful lakes. Then, at sunset, stop at one of the lakes in front of a stunning view of the downtown city skyline. 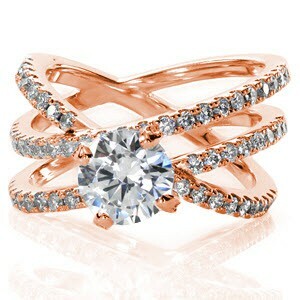 There you can get down on one knee and present a gorgeous halo rose gold engagement ring from Knox Jewelers to the one you love. 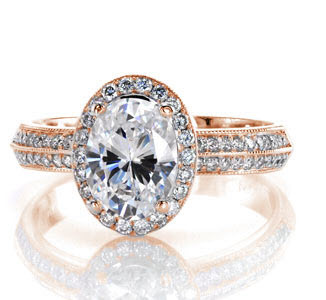 The ring will glitter in the fading sunlight, and your darling’s eyes will gleam with joy as the two of you promise to say your vows of eternal love one day soon. For nature lovers with a thirst for adventure, just east of Denver is Lookout Mountain in Golden, Colorado. Drive or hike up to the impressive vista at the top of the mountain with views of Denver and the surrounding areas. The two of you can enjoy a picnic together, and against the backdrop of breathtaking views and lush greenery, the romance in the air will be undeniable. 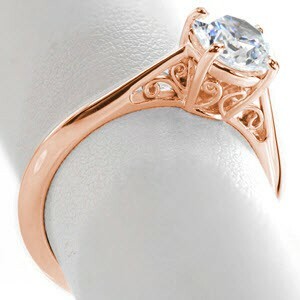 The Knox Jewelers vintage rose gold engagement ring will shine with the fire of the sun, and the moment will be absolutely perfect as you ask the love of your life to go on this adventure through life together. If what you are looking for is a unique proposal in this amazing city, then consider booking your proposal with Clocktower Events. You can whisk your partner up to the top of The Daniels and Fish Tower where you can share a bottle of champagne or even a delicious meal behind the large face of the clocktower. The two of you will have a night unlike any other as you enjoy your drinks together in the ambiance of the gentle glow of the clock face. 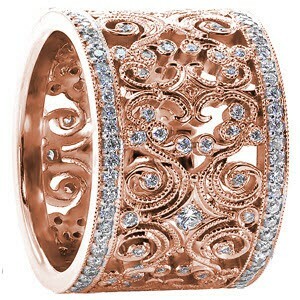 Then, to make your unforgettable night perfect, present the extraordinary Knox Jewelers rose gold engagement ring that you have carefully chosen just for this moment. Your soon-to-be spouse is sure to fondly tell this story to friends and family time and time again.